Microsoft Edge does not Provide Addon & Plugins Capability like Firefox & Chrome Browser.This has led to Problem for Windows 10 Users on How to Block Ads in Microsoft Edge Browser. The Inability of Microsoft to Complement Addon Compatibility has surged the sales of Shareware Ultimate Adblocker Softwares like ADGUARD that has capability to Block Ads in Microsoft Edge and All Other browsers. However, It is Offered as 14 Day Trial and you have to Purchase it once trial period is over. As an Open Source Fanatic, I Have Come up With Really Interesting way on How to Block Ads in Microsoft Edge in Windows 10 Easily with Opensource Tool without spending penny in the long run.Note That Methods like Block Hosts File Exists in Blocking Ads in Microsoft Edge. However,There are alternatives way too. 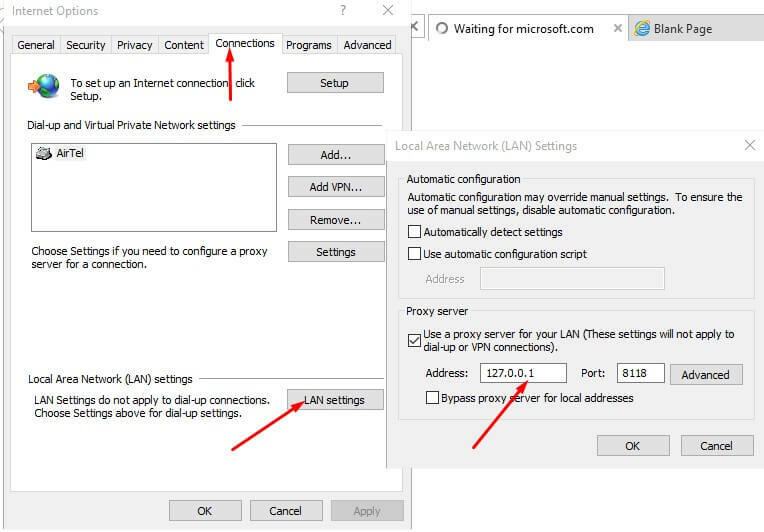 I Have Experimented with 2 Methods and I am Going to Show you the Most Easiest Method of Blocking Ads in Microsoft Edge and All Other Programs in the Most Unique Way using Opensource HTTP Filtering Proxy that can run in Your Windows without Problem and Based on Principle “Install & Forget” as it will run in background and Block all ads in major browsers except it will not protect you from Tracking. The Ad Blocking method is based on opensource non caching webproxy software named Privoxy with advanced filtering capabilities for enhancing privacy, modifying web page data and HTTP headers, controlling access, and removing ads and other obnoxious Internet junk. Privoxy has a flexible configuration and can be customized to suit individual needs and tastes. It has application for both stand-alone systems and multi-user networks. 2.Install Privoxy in Windows 10 and Click Start Privoxy Now Button at the end of Dialog Box. Comment on issues for using this Opensource Software and This Completes Tutorial on How to Block Ads in Microsoft Edge and Other Browsers.Share it with your Friends if you Like.